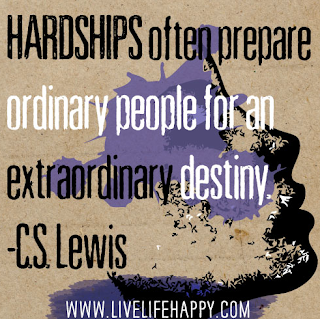 As each of a face a hardship in life, we may wonder "Why is this happening to me?" Some of the difficulties in life are more challenging than others, but they all have one thing in common: they prepare us for a remarkable future. 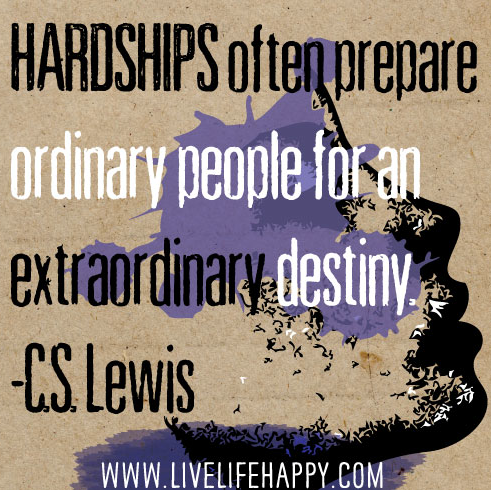 Through each hardship, we learn a lesson. We then take these lessons with us throughout the rest of our lives. They shape us into the people we want to become. They make us better and help us improve our weaknesses. So whenever you are faced with a challenge, just ask yourself, "what is this preparing me for?"